Port Royal, Virginia has earned many plaudits from numerous visitors to our small colonial town. Our marvelous Portrait Gallery contains twenty-five life-like oil portraits of our country’s leaders, all with Caroline County ties. Three museum cases also display Port Royal related artifacts. We are proud to be the only portrait gallery, of its kind, south of Washington, D. C..
#1 John Carter, 1696-1742. John was the first Carter to settle in Caroline, and served as secretary of the Virginia Colony. He married Elizabeth Hill in 1723 and established his home at Shirley Plantation. In 1724, he acquired 3,000 acres known as “The Meadow”, where many years later, Secretariat (triple crown winner) was born. He also inherited nearly ten thousand acres lying along the Pamunkey and North Anna Rivers in Caroline known as “North Wales Plantation”. This land had been granted to one of his ancestors by the British Crown and remained in the Carter family until 1896, nearly two centuries. #2 Col. John Baylor III, 1705–1772. In 1725, Baylor received a huge Royal Land Grant that became one-ninth of Caroline County. He built New Market Plantation, four miles south of Bowling Green, named after a plantation house in England where he watched horse races. An original leader in the founding of Port Royal, he imported hundreds of thoroughbred horses from England, arriving via our Rappahannock River port. He was a man of wealthy prominence in the colony and a personal friend of George Washington. He served in the House of Burgesses from 1742-1765. #3 Edmund Pendleton, 1721–1803. A native of Caroline County, Pendleton was a leading Virginia lawyer and political leader during the American Revolution. He served in the House of Burgesses from 1752-1776, and represented Virginia in the Continental Congress in 1774. In 1788, he presided over the Virginia state convention, ratifying the Constitution of the United States. #4 General William Woodford, 1734–1780. One of George Washington’s most trusted generals in the American Revolutionary War. His relationship with our first president went as far back as the Battle of Fort Necessity in 1754 during the French and Indian War. He was severely wounded at the battle of Brandywine in 1777, and was captured at the siege of Charleston. The one-time railroad village, Woodford, now a rural community in Caroline County is named for him. #5 John Penn, 1741–1788. He was the only Caroline County-born signer of the Declaration of Independence. Tutored in law by his cousin, Edmund Pendleton, he was licensed to practice law in Virginia at age 22. In 1774, he moved to Granville County, N.C., and represented North Carolina for many years in the Continental Congress. #6 Colonel George Baylor, 1752-1784. Son of John Baylor III, of New Market. He was one of the original seven trustees of the town of Port Royal, as it incorporated in 1744. John inherited lots 72 and 73 from his father. #7 George Rogers Clark, 1752–1818. Clark, from Caroline County, was the highest ranking American military leader on the northwestern frontier during the Revolutionary War. His battlefield victories over the British resulted in Britain ceding the entire Northwest Territory to the United States in the Treaty of Paris in 1783. #8 Jacob Fox, 1755-?. Listed as a member of the Kilwinning Cross (Masonic) Lodge in Port Royal 1770, 1771, 1772 and 1774. He was captain of a trading ship out of Virginia, and is pictured standing in front of a sailing vessel with an elegant telescope in his hand. The original portrait was painted in 1774 by William Williams. #9 John Taylor of Caroline, 1753–1824. He became known as John Taylor of Caroline to distinguish him from others of the same name. A Caroline County lawyer, he served in the American army during the Revolutionary War, rising to the rank of colonel. He was the nephew of Edmund Pendleton and friend of Patrick Henry. He graduated from William & Mary in 1770, and served several terms in the Virginia Legislature. Upon retirement he returned to his large estate, Hazelwood, near Port Royal, and devoted his time and energies to agriculture. In 1803, he published a volume entitled “Arator” which was one of the first books on agriculture ever written in this country. He was a US senator at the time of his death. #10 Richard Henry Buckner, 1755-?. His ancestors operated the first tobacco warehouse in Port Royal, which was later taken over by the Roy family. Buckner owned a plantation near Port Royal, and he served as an officer in the American army during the Revolutionary War. #11 William Clark, 1770-1838. The youngest brother of George Rogers Clark, and is best remembered as a partner in the Lewis and Clark western expedition of 1803. He was born in Caroline as the ninth of ten children. President Jefferson made him the agent for Indian affairs in the Louisiana Territory in 1807. President Madison appointed him governor of the Missouri Territory in 1813. President Monroe appointed him as Federal Superintendent of Indian Affairs. #12 Margaret Hawkins Boutwell, 1773-1855. Born in Port Royal, daughter of William H. Boutwell (he died in 1806 and was the first grave in the family cemetery that still exists on Jack’s Hill just outside of Port Royal). Margaret married Robert Wright, II who owned GREEN FALLS (current home of Herb Collins). The family lived there their whole life while raising 8 children. One of her sons, Robert Mosley Wright, married Mary Dorothea Buckner, granddaughter of Richard Henry Buckner and a direct descendant of Dolly Royal of Port Royal. Another son, Dr. Birkenhead “Burton” Wright, married Ann Todd, direct descendant of Dr.George Todd of Port Royal. President Harry Truman’s wife, Bess, was a direct descendant of the Boutwell family. Margaret & her husband are buried in the Green Falls family cemetery. #13 Col. George Armistead, 1780-1818. The son of John and Lucy Baylor Armistead was born at New Market, Caroline County, April 10,1780. He was a first lieutenant in the Continental Army in 1799 and was known as the “bravest and most resourceful man in the American army.” He was commander of Fort McHenry in 1814, and hung the flag that inspired Francis Scott Key to write a poem entitled “The Star Spangled Banner” which later became our national anthem. #14 Judge John Tayloe Lomax, 1781–1862. Lomax, born at Portobago (near Port Royal) began his law practice in Port Royal. He became the first law professor at the University of Virginia, and later an associate justice of Virginia’s general court. He wrote two influential books, one on real estate property rights and the other on legal settlement of estates. #15 Jourdan Woolfolk, 1796–1868. A highly-successful businessman, Woolfolk ran the lucrative stage coach lines through Caroline County, linking Richmond and Washington. About 1827, he built Mulberry Place, approximately four miles south of Bowling Green, on “Old Stage Road”. The name, Mulberry, is derived from his interest in the production of silk. He grew mulberry trees, the leaves of which silkworms were expected to eat; but his anticipation of silk for clothes failed. There are no mulberry trees there today, but owners Dr. Michael and B.L. Trahos have restored the two-story brick plantation home. #16 George Fitzhugh, 1806–1881. Fitzhugh, one of Port Royal’s most distinguished citizens, was a writer and lawyer who lived on Lot 14 in Port Royal. 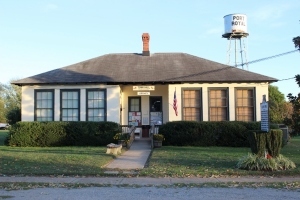 He once described Port Royal in 1859 as “the village of flowers, with houses of the old fashioned cottage style built a century ago, surrounded with trees, flowers, ivy, and other evergreens.” He was the son of Dr.George Fitzhugh, and authored several books predicting the end of slave labor and an industrialized South. After the Civil War, he established an academy for boys in Port Royal that met in his home and also in the Town Hall and Lyceum. He also established a long wharf that led out into the river channel to accommodate steamboats. It continued to be used until 1937 for moving passengers and freight. #17 Richard Henry Garrett, 1806-1878. Owner of the Garrett farm, 3 miles south of Port Royal, where John Wilkes Booth was captured after killing President Lincoln on April 26,1865. He is buried at Enon Church in Supply, Va. He married his second wife, Fannie Holloway, sister of Dr. Robert Holloway of Port Royal. Garrett fathered 13 children and was a well-respected farmer. Today his home site is on property owned by Fort A.P. Hill. #18 Gen. John Magruder, 1807–1871. Born in Port Royal, he was a graduate of the U.S. Military Academy at West Point, New York. As a U. S. Army officer, he commanded a light artillery unit in the war with Mexico. When the Civil War broke out, he resigned from the army and became a Confederate general in charge of the defense of Virginia’s Peninsula. After the war, he refused to seek parole and went to Mexico. #19 Colonel Samuel Avery Swann, 1828-1880. He was born in Caroline County, educated in the old Concord Academy, and became a teacher after attending The University of Virginia. To him belongs the distinction of having taught the first “free school” ever established in Caroline. When the war broke out he joined Company B, Ninth Virginia Cavalry. He rose to colonel and served in that capacity until the war ended. After the war he became sheriff of Caroline County, a representative in the House of Delegates, and later became superintendent of the Virginia State Penitentiary. He never married. #20 Captain Sally Louisa Tompkins, CSA, 1833-1916. “Captain Sally” was the only female commissioned as a Confederate army officer. She won praise for her nursing and hospital administration skills during the Civil war. She often visited her cousin, Harriet Ann Field Lightfoot at “Riverview” in Port Royal during the war, which became her permanent residence during the 1880’s. She lived there until 1905, after which she moved to the Home for Confederate Women in Richmond. #21 James Hoge Tyler, 1846–1925. Was born at Blenheim Plantation in Caroline County. Tyler enlisted in the Army of Northern Virginia, in 1862, and served as a private until the end of the Civil War in 1865. He became Virginia’s 43rd governor and served from 1898 until 1902. #22 Rev. James H. A. Cyrus. Was appointed pastor of Shiloh Baptist Church, Port Royal, in 1888. He was pastor of Bethlehem Baptist Church, Mica, 1898 to 1907, and at Mt. Dew Church, Moss Neck. The Rev. 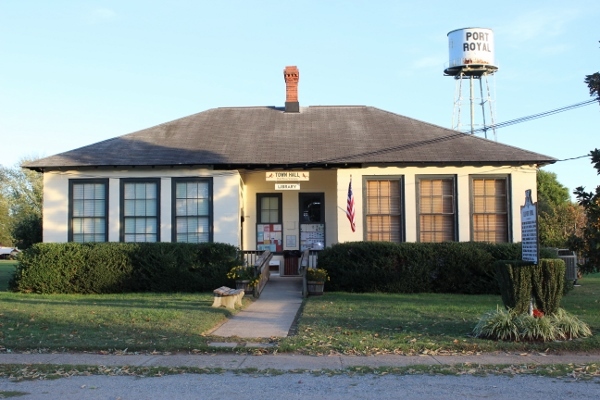 Cyrus became the second African–American elected to Port Royal’s governing body, and served as town postmaster for three years. He was a highly respected leader in local, state and national Baptist circles. #23 Sidney Eugene King, 1906- 2002. Sidney was born Aug. 12, 1906 in Boston. He studied art at the Boston Museum of Fine Arts, where John Singer Sargent taught. He later moved to Virginia where he met and married Ena “Peggy” Taylor in 1939. They moved to her family farm near Tignor in Caroline County, where he continued to paint. He became well known for his historical paintings for the National Park Service. He was a spectacular muralist and painted “Creation” to cover the dome of the North Visitors Center on Temple Square in Salt Lake City, Utah. His mural “The Life of Christ” was first seen in the Mormon Pavilion at the New York World’s Fair in 1964. In 1999 he received the annual award from the Caroline Historical Society for his outstanding efforts to preserve and highlight the history of Caroline County in his paintings. #24 John Dudley Cephas, 1931-2009. A world renowned blues guitarist who performed in 32 nations around the world and released 13 albums during his career. In 1989, he received a National Heritage Fellowship from the National Endowment for the Arts. This is the highest honor our country bestows on folk artists. #25 James Shelby Guss, 1943-2012. Shelby was an educator and civic leader in Caroline County. The son of the Rev. E.L.R. Guss and Clinice Hart Guss was drafted in 1943 and awarded a bronze star for his service in the South Pacific. After the war he taught at Union High School in Bowling Green, and was appointed principal in 1959. After his retirement in 1982, he continued to be active in the county serving on the Board of Directors for Rappahannock Electric Cooperative, was chairman of the Caroline Democratic Committee, and was appointed by Governor Godwin to the Virginia State College Board of Trustees. He was married to Lavinia Anderson, also a teacher in Caroline. Mr. Guss is buried in the family cemetery in Guinea.